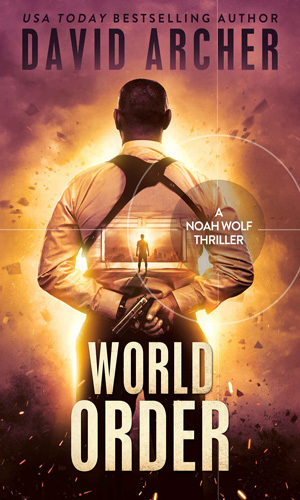 Noah Wolf is an agent of the E&E. This title stands for Elimination and Eradication and it is a relatively small covert organization created by the current President and run by a woman named Allison Peterson. The purpose of the group is to act as the unofficial enforcement arm of several of the alphabet departments of the government. When an individual is considered a threat to the country by one of these bureaus, they can pass a file to the E&E Director and she makes the final life or death decision. According to her explanation to Wolf when they first meet, "I review the file, and if I can honestly tell myself that I agree that this person should be removed, then I will approve it and send the elimination order down to one of the teams that I run." These teams, of which there are seven, consist of an agent and "... a support team, consisting of a transportation specialist, an intelligence specialist, and a capable thug, for when a little extra muscle is needed." Each team is identified by a person, place, or object out of mythology or a fairy tale and in an unusual moment of whimsy, the department itself got the nickname of "Neverland". The team that Wolf commands is named "Camelot" and it consists of Wolf as the leader, Sarah Child handling transportation, Neil Blessing in charge of computers and intelligence gathering, and Moose Conway being the designated muscle. The leader of the team was not born with the last name of Wolf; that surname was given him after he died and lived again. Born Noah Foster, he was the only child of a disfunctional family that went completely apart when the father murdered the mother in front of then 7-yr old Noah. The horrific event caused such trauma in the young boy that in his own way he snapped. His manifestation was to totally lose emotions from that moment on. It was not that he did not understand emotions - he was smart enough to know every, except him, experienced them as part of their normal lives. Foster, however, did not. As he described it, he "got sent to the foster care system, lived there for almost a year before my grandparents showed up to take me, lived with them for a short time until they figured out I was a Pinocchio, then they couldn't cope with me anymore and I ended up back in the foster system. Grew up there, spent most of my time in a couple different foster homes, until something happened that made everyone afraid of me. I joined the Army to get out of my hometown, and I finally felt like I’d found a place where I fit in." The term Pinocchio was given him by a fellow foster child who explained that the fictional character was a puppet who pretended to be a boy just as Foster pretended to be a normal child. Again in Foster/Wolf's own words, he is "... a real person but without any emotions, without any sense of what it means to be human. I don’t know how to act like a real person, so I just mimic the people around me. That works fine, until I’m confronted with a situation that’s so unusual that there isn't any right or normal way to handle it." If his experience and the attitudes of those around him indicated that he should at a particular moment be happy, he pretended to be so even though he felt nothing of the sort. For the most part, he is very good at his impersonations but when he trips up, it often is not pleasant for someone. 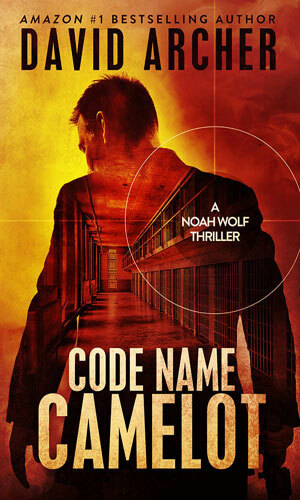 Noah Foster became Noah Wolf, leader of Team Camelot, because of a major incident while in the Army. Joining the service just before his 18th birthday, Foster was an exemplary soldier for over five years, rising in rank to that of Sergeant. He was trained as a sniper and due to his unusual emotionless condition, he proved exceptional at it since his lack of normal reactions meant he was capable of remaining calm in the most harrowing of situations and being able to obey a command without delay. On one terrible day in the Middle East while the team to which he was assigned was on patrol fighting ISIL, he was sent to a remote sniper position while the rest of his platoon went into a village. There the platoon leader, a 1st Lieutenant and several of his men attacked, raped, and then murdered five civilian females. When Foster rejoined his group and learned of the atrocity, he refused to go along with the concocted lie and as things got heated, in self defense he killed the Lieutenant and five others. Unfortunately, the Lieutenant was the son of a member of Congress and the evidence could easily point to it being Foster who committed the crimes and then killed his teammates to hide the facts. This was compounded by the fact that Foster freely admitted killing the soldiers. The trial was quick and preordained. Foster had to die. Enter into the picture several days before the scheduled execution of E&E and the chance to continue breathing if he was willing to help stop others from living. 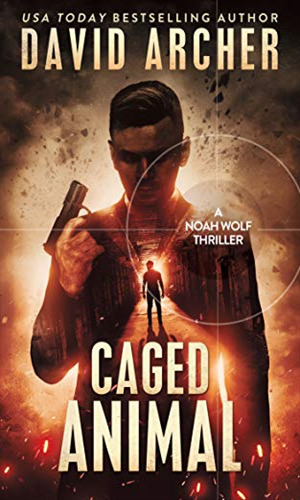 Sentenced to death for killing several of his fellow soldiers, Noah Foster is offered a chance to live and serve again in the secret E&E bureau. Team Camelot's job was to rescue the kidnapped daughter of a foreign diplomat which they did with their usual efficiency. Afterward, though, they ponder why it was so easy. Returning from a successful mission, Team Camelot receives word that their headquarters is under attack and they are the only team available to help. The mission is to take down an arms dealer who is very good at manipulating both terrorists and governments and their only way at him is from the inside. The problem is he is only in the need for an assassin. 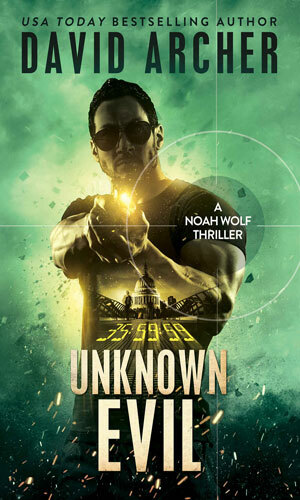 To get an American woman out of a Thai prison, Noah Wolf's team member, Sarah, must infiltrate the facility. Before their plan to rescue both can get started, however, the two women become victims of white slavery. 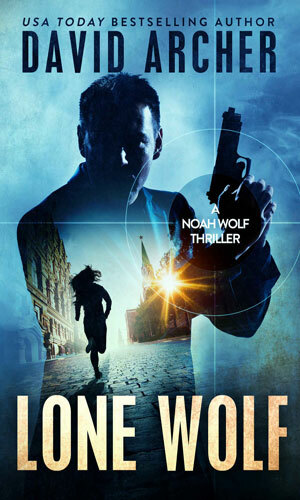 Sarah is lost and Noah Wolf is called to answer for what went wrong. Then a mission to North Korea presents an opportunity to test whether the failure was due to a traitor in their midst. 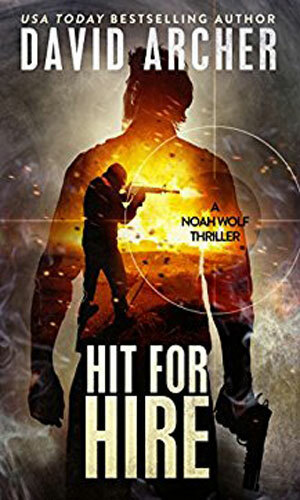 All the while, Wolf holds hope Sarah might still be alive. 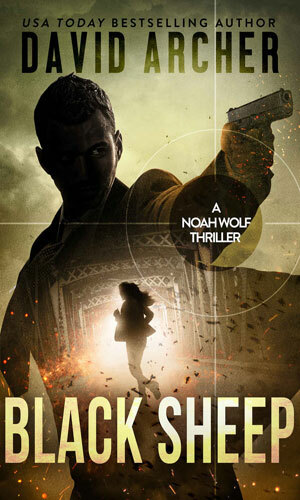 The mission for Team Camelot is domestic this time - infiltrate a crime ring in the South. 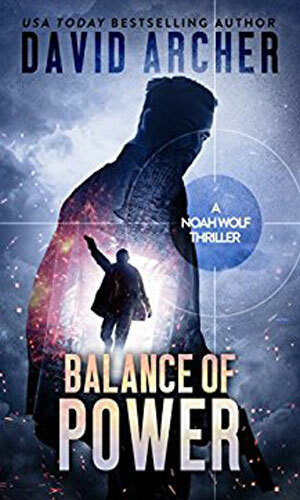 As always, things get complicated because as Noah Wolf sets out to eliminate the leaders, they seem to change rapidly. 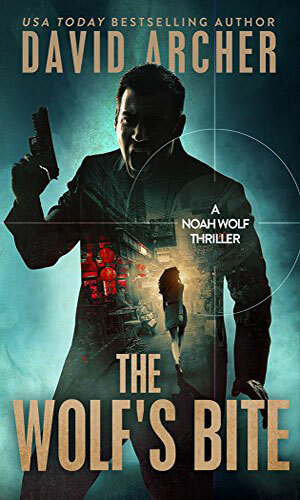 Taking on the Morgan Mafia is a major task but plaguing Noah Wolf and team is that doing so will possibly help others who might be just as bad. And then there is Monique, the mole nobody can touch. 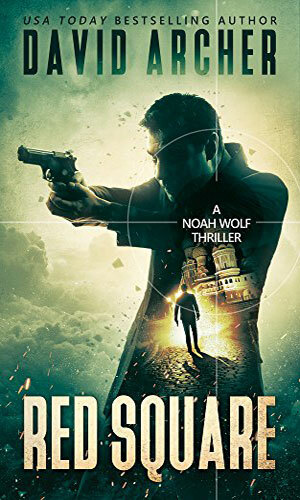 The job for Noah Wolf and Team Camelot is to sneak into Russia and "assassinate" a major official to cover up his defection to the U.S. When things go sideways, the team is compromised and disavowed. 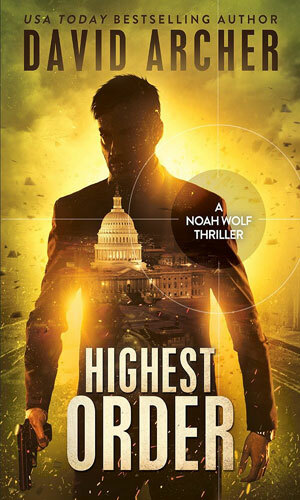 On a mission, Noah Wolf receives the shocking news that his boss, Allison, has been arrested and he should disappear. It gets worse when she escapes, shows up where he is hold up, and orders him to take out some key people including the President. 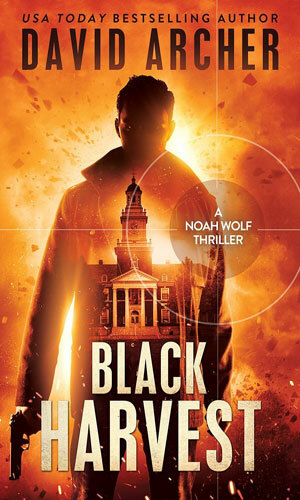 The Camelot Team is looking to enjoy some relaxation time in England but duty calls in the form of a request to help look into an unknown assassin out to create mayhem and Noah Wolf and group are in the hunt to find a killer no one knows. The Camelot team lead by Noah Wolf have gone after some pretty nasty people but this latest target is by far the worse; human traffickers who not only sell people as slaves but also as organ donors. Who controls the base in South America that has seen the disappearance of many, including American military? And what are those bodies that do not appear to be human? 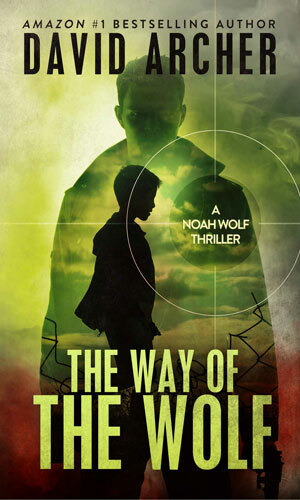 Those are two major questions Noah Wolf and team are told to answer. 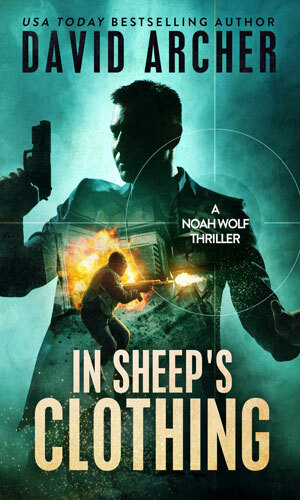 Noah Wolf is teamed up with a CIA agent on a mission separate from the Camelot team. He is captured and tortured on the assignment and the man that is returned is not at all like the one who left. The question for Camelot and especially Allison is whether he can be saved. The idea of an innocent man being framed for murder and then 'executed' only to be given a new identity is hardly new. It formed the basis for one of my favorite series, The Destroyer as well as others over the years. That is not a bad thing for me, though, as I love the idea. And the idea of a secret government department responsible for terminating with extreme prejudice those people the government deemed too dangerous to live is also not a new subject. This compendium is loaded with similar departments, some run by exceptionally honest and ethical people and some not so fortunate. The unusal aspect to this series is using a concept I had never seen before the excellent television series Dexter, taken from the acclaimed book series by Jeff Lindsay. The idea of an emotionless person trying to cope in the real world while living a double life as a serial killer was awesomely bizarre and terrifically handled. 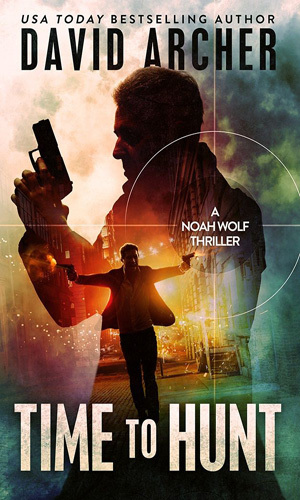 Now Noah Wolf is not a serial killer so he is not another Dexter but he does kill people for a living and he is forced to pretend to have 'normal' emotions when he actually feels nothing so it is close enough for me. I enjoyed these books. It got a bit old having Wolf explain, it seemed to me, every other chapter that he was unable to feel anything but I kept telling myself that he kept telling others because they kept forgetting. That worked for a while but it would get old again soon enough. Still, the plots are interesting and the other characters fun and the stories are enjoyable so I just jumped over the repeated declarations and let the story continue. I have been enjoying that for five books now.